Czerwinski, who has more than 25 years of experience in the travel and tourism industry, joined Vacations By Rail in 2011 as the company’s Vice President of Operations and is credited as instrumental in Vacations By Rail’s largest growth year to-date. 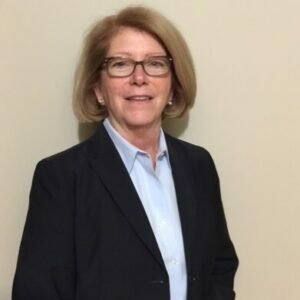 Prior to joining Vacations By Rail, she held positions within Mayflower Tours, Inc.’s executive team, including Vice President of Sales and Vice President of Operations, where she was responsible for the operations of hundreds of escorted tour departures annually. Travel Research Online (TRO): Hi, Jeanne. How are you? Jeanne Czerwinski (JC): I am doing great, thank you. TRO: You’ve been in the travel industry for over 25 years, and joined Vacations By Rail in 2011. What was your original motivation for getting in the industry? JC: I began in the industry to help out a friend of the family as a temporary position. The industry intrigued me, as I had never traveled. My first trip to Switzerland had me hooked on travel everywhere and anywhere. TRO: Trains are an interesting mode of transportation that let you see far more of a destination than flying or cruising. And, as Cole pointed out in his interview with us, rail travel is on the rise in North America. What would you say to agents who haven’t considered this as an option? JC: With the travelers choosing rail travel, agents have to put this front and center. If they don’t, they are missing a trend. Travelers are curious about both the long-distance rail and the heritage trains that are so popular. With a variety of spectacular trains in destinations around the globe, it expands vacation options and adds a unique new way to get a new perspective on a destination. In addition to offering your client new and interesting options, your bottom line benefits with many options for add-ons and upgrades. TRO: Sales and marketing can be a tricky area of business, as trends of destination choice and mode of travel are always changing. How do you approach this on day-to-day basis? JC: Staying involved with both your suppliers and your competitors is a great way to brainstorm and learn. But the true teacher is the traveler. They are always looking for something new and different. Understanding what they want, how they want it delivered and their future plans helps to keep our finger on the pulse of an ever-changing industry. TRO: What is your philosophy behind giving more people access to travel, providing them with an opportunity see things they’ve never seen before? JC: Prior to me joining the industry, I didn’t even realize what I was missing. Traveling and immersing yourself in a destination and the culture can be the best part of life. On any given trip, there is something new, and so as a “traveler” at heart, I like to incorporate those into our itineraries. I believe everyone should travel, and boarding a train, such as the Durango & Silverton Narrow Gauge Railroad, is going to show you things you can’t get anywhere else. TRO: Being responsible for the largest growth year to-date at a company like VBR is no small feat. How did you help accomplish this? JC: My staff, the vision of the owners, and my own personal drive. All of us believe in the vision of the company. TRO: What are your favorite locales for a personal vacation? JC: I am a person that likes to immerse myself in the destination. So, enjoying a glass of wine at a local restaurant in Italy, riding the Glacier Express in Switzerland, or spending time in the Canadian Rockies have to be up there in my choices. I have to say though, I have never traveled somewhere that I didn’t enjoy it. I may not go back again, but I was happy with the journey. TRO: What can you tell us about any exciting news in Vacation By Rails near future? JC: We are busy planning 2020. Our product is growing, both on the independent side and the escorted side. You will see more of Europe so we can experience all of the trains. Watch for our new issue of our Trains & Travel Magazine. TRO: Thanks for taking time out of your schedule to chat with us. JC: I have enjoyed it, thank you!